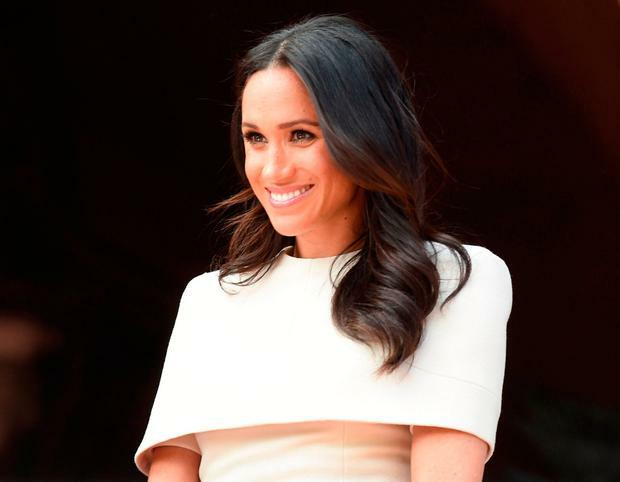 The Duchess of Sussex is known for her chic, pared-back style and elegant designer accessories, which often can be as expensive as they are beautiful. 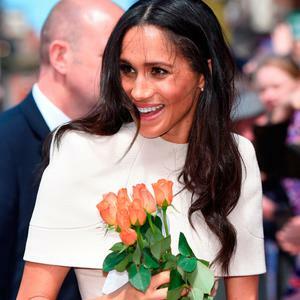 However this weekend former Suits star Meghan Markle appeared to have tossed aside her now almost uniform designer bodycon monotone dress and coat combo, in favour of an altogether more laid back look - and even managed to throw in a high street favourite to her wedding guest getup while she was at it. Meghan and her husband, Britain's Prince Harry, attended the wedding of Harry's cousin and Princess Diana's niece, Celia McCorquodale this weekend, and as predicted, the newlywed turned heads in her blue and white china print voluminous dress by Oscar de la Renta. However it appears the Internet was so busy arguing - yet again - about whether or not Meghan's gúna was too big or not, that they completely overlooked the fact that she was also donning an accessory by an altogether more accessible design house - Marks and Spencer. Meghan finished her look off with a pretty white pillbox bow fascinator from the high street store, and shoes by one of her favourite footwear designers Aquazurra. 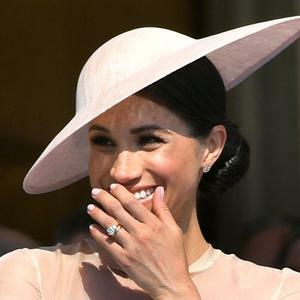 Meghan's father Thomas Markle appeared on UK television a day after the newlywed let her hair down at the wedding to give a detailed interview about his daughter's marriage. He said he expected the couple to have a child 'soon'; "She's wanted children for a long time," he said on Good Morning Britain. "When she met Harry and she spoke about how much she loves him... there's got to be a child in the making there soon. "I couldn't be more proud of those two, I think they'll do a fabulous job. They're great and I love then dearly. I'm very happy to have a new son-in-law."